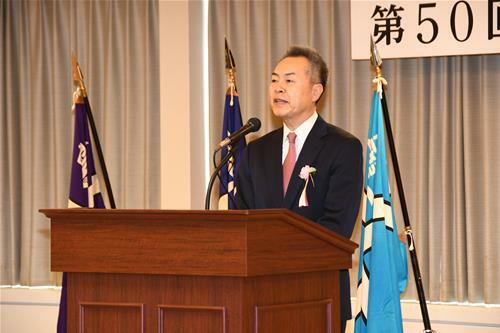 Mr. Saito, Director of PIC, attended Team-Forming Ceremony for Tokai University’s 50th Overseas Educational Cruise held at the Tokai University Club in Kasumigaseki. 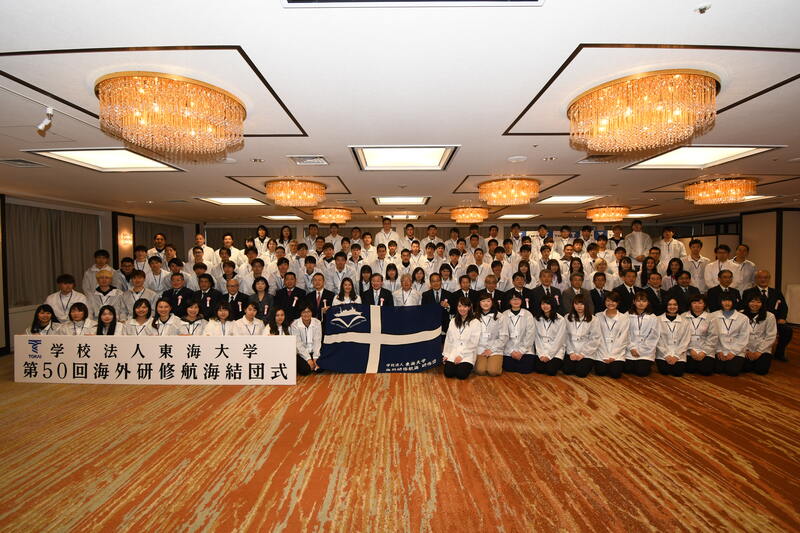 The Overseas Educational Cruise, held on the Tokai University Research and Training Vessel Bosei Maru is a program which takes participants to various countries to learn firsthand the importance of intercultural understanding, environmental conservation and cooperation. There were a total of 162 participants on this trip, and over the course of 47 days, from February 9 to March 27, cruise participants will visit local universities and deepen relationships with each other during port calls at Papeete (French Polynesia), Hanga Roa(Easter Island/Pascua Island), Apia (Independent State of Samoa) and Pohnpei (Federated States of Micronesia). At the ceremony, Chairperson Yamada made a speech followed by Director Saito’s address as a guest of honor. Director Saito mentioned that this Overseas Educational Cruise is meaningful to know the real situation of Pacific Island Countries that have been focusing on preservation of affluent marine resources endowed with nature. He also mentioned that he expects those participants to strengthen bonds between Japan and Pacific Islands Countries through the exchange with local people of the same generation. PIC has been cooperating with Tokai University by offering information related to Pacific Island Countries for their Overseas Educational Cruise, and moreover, we hope to have a closer relationship with each other from here on.